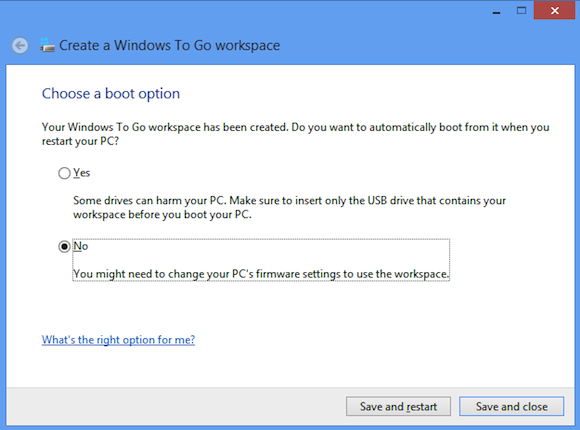 How to Create Windows 8 Bootable USB Disk in Windows To Go Creator Center? Step1. Insert the USB drive then go to Windows To Go Creator Center in the Control Panel. Step2. Once the Windows To Go Creator Center is open, we’ll see that the system is searching for the USB drive. If the USB drive inserted is qualified for Windows To Go, then we can find it like in the picture below. Click on Next to proceed. Step3. Here we need to pick a Windows 8 image to put it on the USB drive. The image could be from the pain Windows 8 installation disc or the one that you are currently using. When the image is selected, click on Next. Step4. 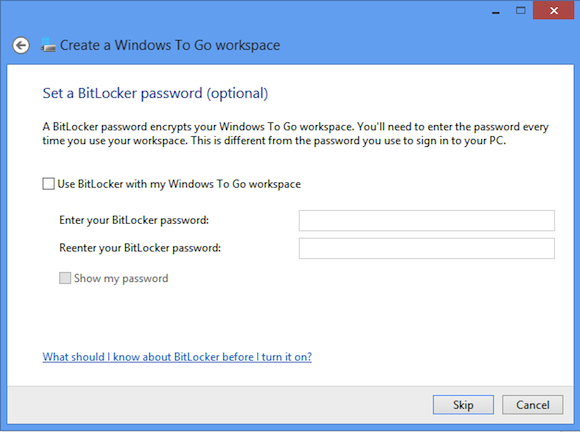 We’ll be asked to set a BitLocker password for the Windows To Go workspace. But it’s only optional, we can skip this step. In addition, we can decide later and enable BitLocker after we have booted into the WTG device. Step5. 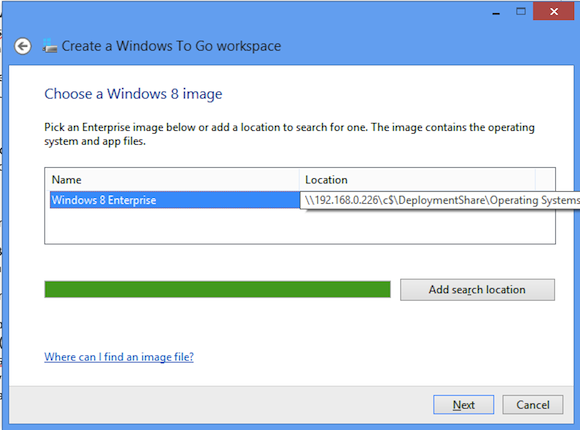 In the final step, click Create to start the WTG workspace provisioning process. The whole process may take about 15-30 minutes depending on the size of the image. Once the process in over, click on Save and Close to finalize. Now, enjoy Windows 8 where you go with this created Windows 8 bootable USB disk.